Flinto is a Mac app used by top designers around the world to create interactive and animated prototypes of their app designs. Flinto works with macOS 10.12 and iOS 10.0 or newer. Design transitions between screens using Flinto’s Transition Designer. Design micro-interactions using Flinto’s Behavior Designer. Add customizable scrolling to any group in your app design. Navigate your prototype using taps, swipes, scrolls even 3D touch. Design UI right inside Flinto with our advanced vector drawing tools. Extensive documentation, active community, and 100+ tutorial videos. Preview your work on-device in real-time in Flinto’s iOS app. Fine-tuned control over cubic-bezier or spring easing for each layer. Create impressive scroll-based animations like collapsing headers. Any gesture can have an audio file attached for UI sound effects. Drag video or GIF files right into your designs. Create stunning animations with Flinto’s simple 3D rotation tools. Export recordings of your prototype to share or post online. Send your recordings directly to Dribbble with fun layout options. Organize screens however you like. Large prototypes are easy to manage. 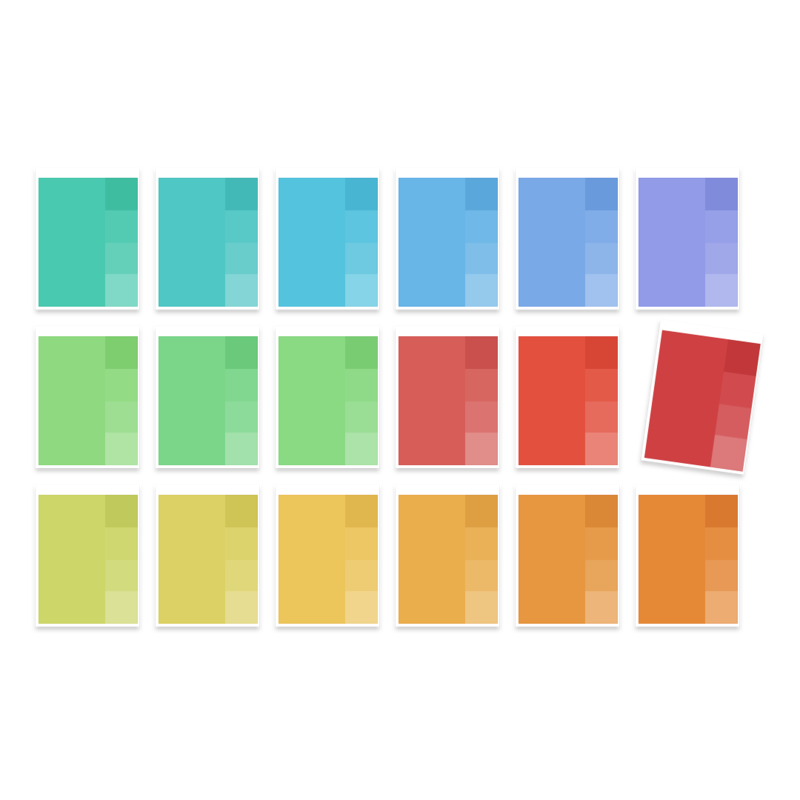 Design your own animated transitions in Flinto’s breakthrough Transition Designer. No timelines, no programming, just put stuff where you want it to go. Design your own transitions like these in the Transition Designer. Control them with direct-manipulation gestures. Use the Behavior Designer to create micro-interactions within screens. Perfect for things like buttons, switches, looping animations and scroll-based animations. These animations were all created in Flinto’s behavior designer. Add scrollable areas with a single click and create impressive scroll-based animations in the behavior designer. Any group can be made to scroll and they are very customizable, you can even nest scrollable areas inside one another. Thanks to our clever design, your designs won’t balloon in complexity as they grow. Adding your 100th screen is as easy as adding your first. Powerful drawing tools allow you to create your own simple mockups in Flinto or edit shapes and text imported from Sketch. You can even animate vector curves. These drawing and animation sequences were recorded directly from Flinto. 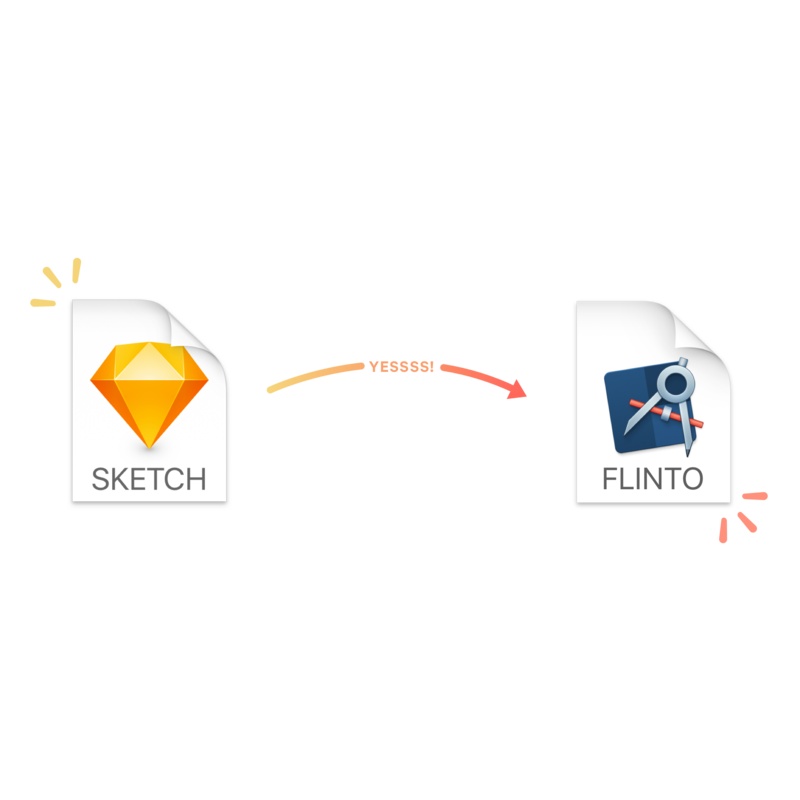 Use Flinto’s Sketch integration to import your Sketch files into Flinto. If you make a change in Sketch, you can import again and update your existing design. Test designs immediately on your WiFi-connected iOS device. Send Flinto files to anyone to view with the free iOS viewer or Mac app. Flinto grew entirely out of our own experiences building apps. We really care about Flinto and we work hard to make it better every day. Your support means a lot.